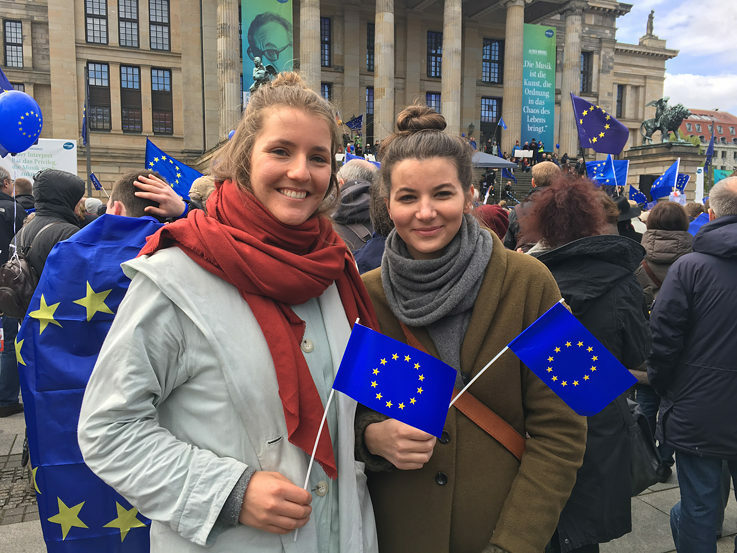 Tens of thousands have been demonstrating in Germany for months – for example, at the “Pulse of Europe” rallies. They want to send a signal: Europe is important to us citizens. For months now, tens of thousands of people in Germany have taken to the streets every Sunday. The peculiar thing is that they are demonstrating for something, not against. And then too for something that seems at first glance abstract, institutional and far away: the European Union (EU). But the people come to these rallies, rain or shine, and fly blue balloons, form human chains and say into microphones what they love about Europe. Their movement is called “Pulse of Europe”. Not only Germans are taking part in it but also, since April 2017, people in 120 cities in thirteen members states of the EU. Why? The founder of the movement, the Frankfurt lawyer Daniel Röder, wanted to achieve two things when he called for the first rally at the end of 2016. For one, he and his wife were shocked by the election of Donald Trump to the American presidency; and Brexit was still a painful subject for them. To demonstrate in favour of Europe – the idea was to buck up themselves and others, and to strengthen the feeling that they were not alone. For another thing, Röder wanted to send a signal to German and European politicians: Europe is important to us citizens; don’t stop fighting for it – we’re with you! Röder, who is in his mid-forties, had never gone to a demonstration before, and doesn’t belong to any political party. But now he wanted show his support for Europe. This is how many people felt who have attended the “Pulse of Europe” rallies. Especially the young. If you ask them whether they were politically active before, you usually get answers like: “No, but now for the first time in my life I fear there’ll be a war in Europe”. Or: “No, before it seemed to me self-evident there would be an EU; now it’s different”. Or: “No, but now I’m afraid Europe will fall apart; I want to do something against that”. “Pulse of Europe” has become very large in a short space of time. If there were only 200 people at the first rally, there are now 40,000 every week. Many participants laud that the movement was launched by citizens themselves and not by a political party or a government. That made it easier for them to participate. They also like the relaxed framework. If you want to come, you come; if you don’t have time, you don’t. On the social networks, under the hashtag #pulseofeurope, you can see what you missed. And every participant knows that he or she need not solve the problems of Europe in the street. The idea is rather to show support for a unified Europe. Young people feel the need to do something in other countries too. In London in March 2017, tens of thousands took to the streets in order to attempt to avert Brexit. The movement “European Movement United Kingdom” has refused to abandon the fight. And the pro-European campaign “The European Moment”, of which, among others, the initiatives “Young European Movement” and “Stand Up for Europe” are a part, has called for special pre-election rallies in France. The participants are united by the desire to live in a Europe whose destiny is not determined by nationalists. 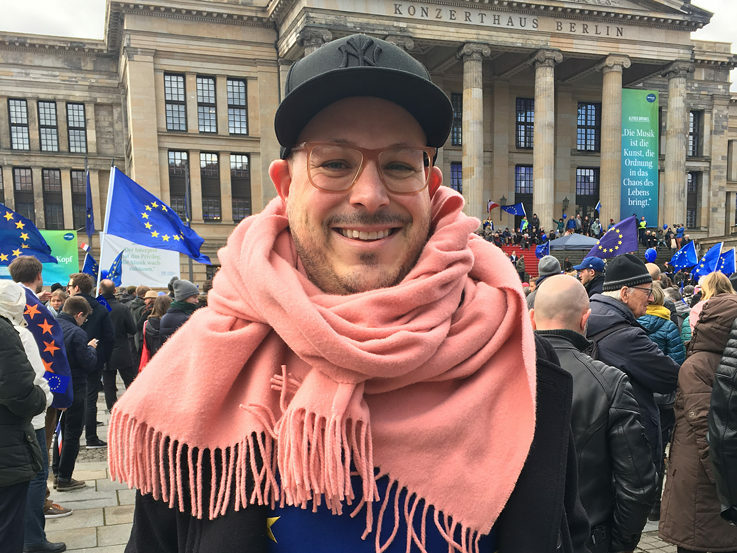 “Pulse of Europe” founder Daniel Röder is himself surprised by the success of his idea. In the beginning he had hoped to gain a hearing for a previously “silent majority”, but the actual number of people who then took part still astonishes him. 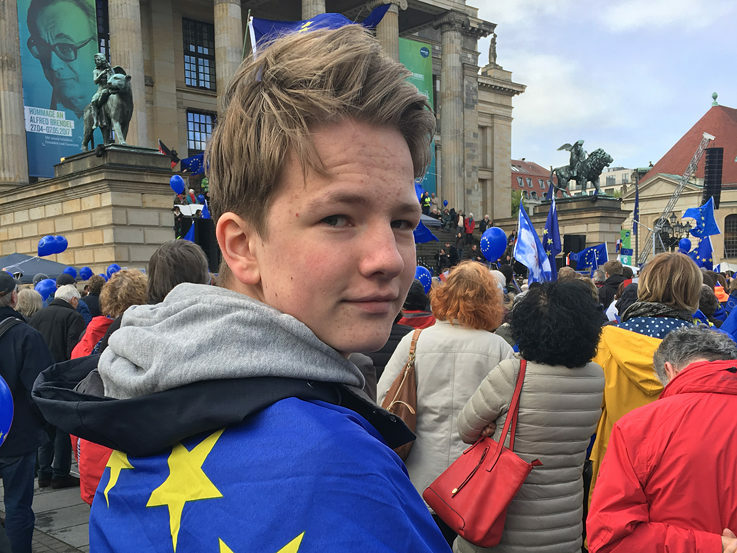 He is delighted that many of them tell him how important the rallies are to them – especially the feeling of being part of a large community that sees not only the difficulties of a united Europe but also above all the good in it, and that this is manifested while nationalist movements lose their importance. From the start, Röder planned to hold his rallies at least until the second round of voting in France. And after that? The pro-Europeans do not then want to become invisible. Beginning on 7 May 2017, -“Pulse of Europe” will change to a new rhythm: the demonstrations will no longer take place weekly but on the first Sunday of every month. Because, even when there is no election, there are always reasons for supporting Europe. Friederike Haupt is a political editor at the “Frankfurter Allgemeine Sonntagszeitung”. Copyright: Goethe-Institut, [Friederike Haupt]. This work is licensed under a Creative Commons Germany Attribution – NoDerivs 3.0 Germany license.